Associated with the famous poet Robert Burns, the Scottish clan of Burns has a rich history which shapes the family tartan. The Burns family name is of course associated with one of the most famous Scots in history, Sir Robert Burns. However despite having one of Scotland’s best loved sons as part of their clan, the original clan family actually straddled the English and Scottish borders. Hailing from the Strathclyde-Briton region of the country, Burns was actually a common surname for those living in Cumberland, which we now know as Cumbria. This area was long fought over by both Scotland and England so has mixed heritage. However it’s possible that the name derived from the location Burneshead, or vice versa, which was located in Cumberland. The name also has links to the Boernicians, who were a race of Scots who ruled this area and other parts of North East England before the English reclaimed the lands. that Burns was easier for the Gaelic tongue – something which Robert Burns and his brother agreed on. The Scottish clan is registered in the role of clans, though many previously thought the Burns to be part of the Campbell clan. Other notable Burns’ aside from the famous poet include John Burns, the Labour politician in the early 20th Century, and Sir George Burns, a shipping magnate in the late 18th Century. The family tartan associated with the clan is much like the work of burns himself – bold and colourful. 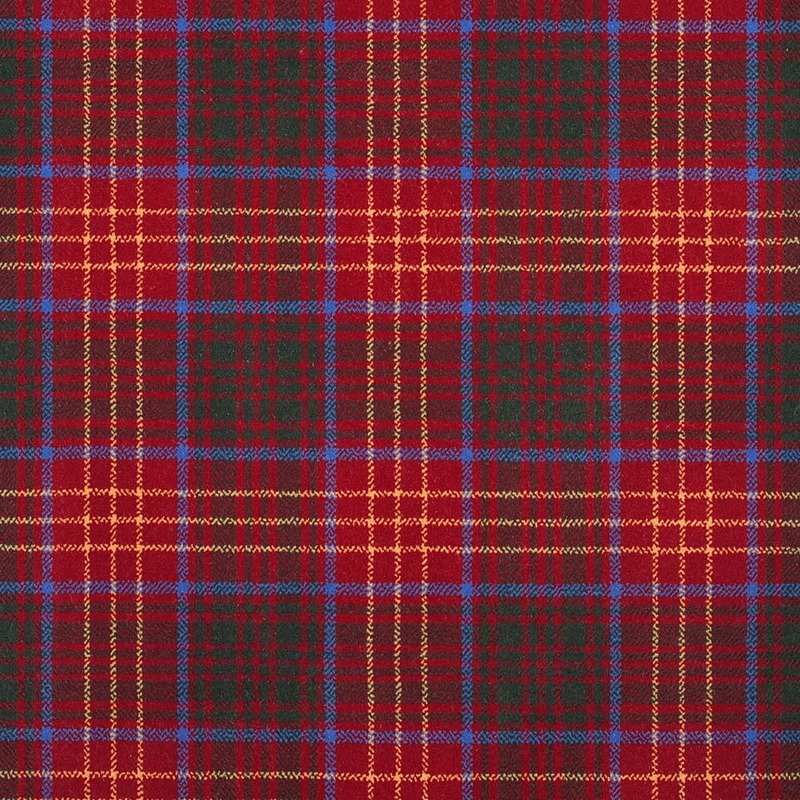 Its main shade is red, which provides the backdrop for the various criss-cross patterns on the tartan itself. Thicker green stripes weave across the cloth to create squares bordered by light blue lines. In between the green squares are much thinner yellow vertical and horizontal lines, breaking up the harsh red look.